I love working with up and coming brands, I especially love working with up and coming brands when they're from my home town of Manchester! 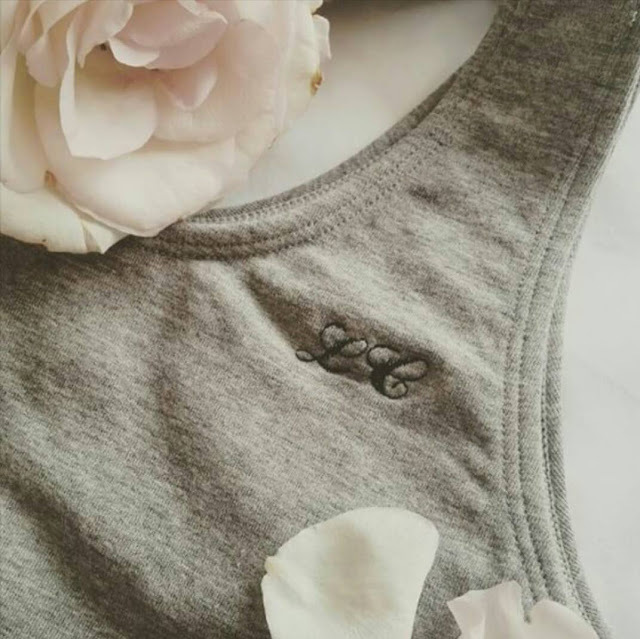 Initial underwear was founded when the girls behind the brand struggled to find fashionable, good quality underwear at a reasonable price; so they made it themselves! I've just written a post about personalisation, and yes, I'm at it again! My beautiful new underwear set has my initials on the front and back of the bra top and on the knickers - SO cute! I actually have worn the set as PJs and under my gym wear. They are comfortable, fantastic quality and best of all just £25 for the set! The sets come in three colours; grey, black and white. Perfect for every style and every body shape, they are not just comfortable but also practical! To have matching, personalised underwear makes me feel incredibly put together. It's the base of any outfit, and just knowing that you're all matchy makes you feel all warm and fluffy (can you tell I don't match my underwear on a regular basis...). But to have a set that is so versatile, comfortable and affordable means that everyone can feel matchy matchy all the time! You can find Initial over on Etsy, just click the link here!